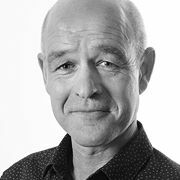 Nick Catliff founded Lion Television in 1997 with two colleagues from the BBC where he had started his career. A leader and manager, both as co-Managing Director of Lion in the UK and President of the Lion's American subsidiary, Nick is very much involved in the creative process of originating, developing, pitching and then producing television content for a wide range of networks. Lion started out as a documentary and history producer and has expanded in children's television, cooking, game shows, entertainment and sketch comedy. Though he has been in a creative leadership position in almost all of his 25 years in the television industry, Nick decided to join the Berlin School of Creative Leadership to stay competitive and relevant in a rapidly changing landscape at a time when the TV content creation business is facing new challenges. "While I feel that I am in a pretty strong position to deal with the challenges and opportunities facing television, I am also aware that I have been plying my trade for a long time and would benefit from new ideas, inspiration and perspectives." Nick's career experience before Lion includes 13 years at the BBC starting as a graduate trainee before becoming Producer, Director, and Series Producer in BBC Documentaries. He graduated from St. Catharine's College, Cambridge with an MA in English Literature.